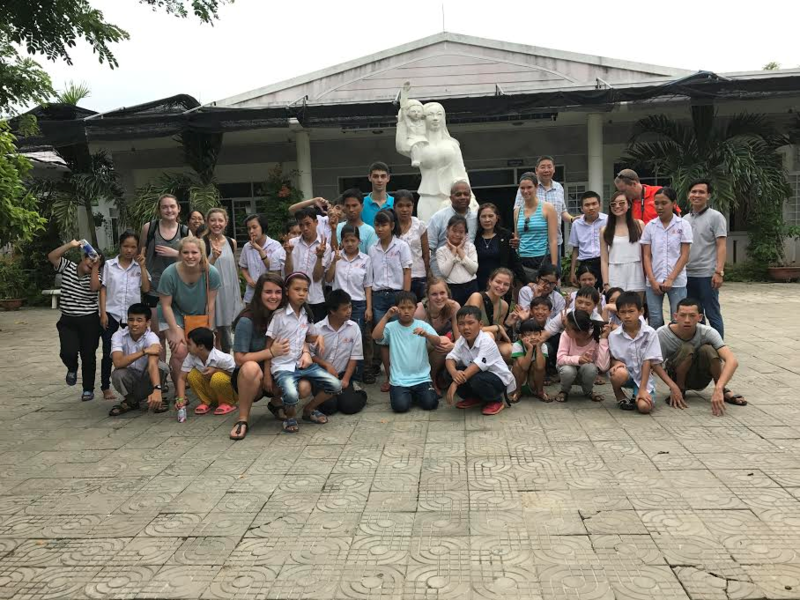 The 2017 Vietnam May Term was the first ever such experience offered to Hope College students. 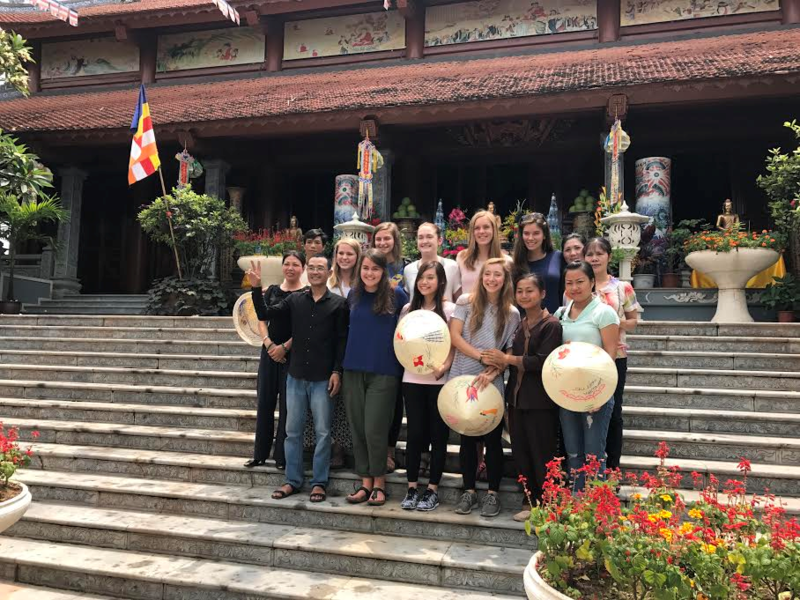 For two weeks, eight fierce young women helped their two gasping male professor chaperones keep up as we traveled across the immense beauty of Vietnam. 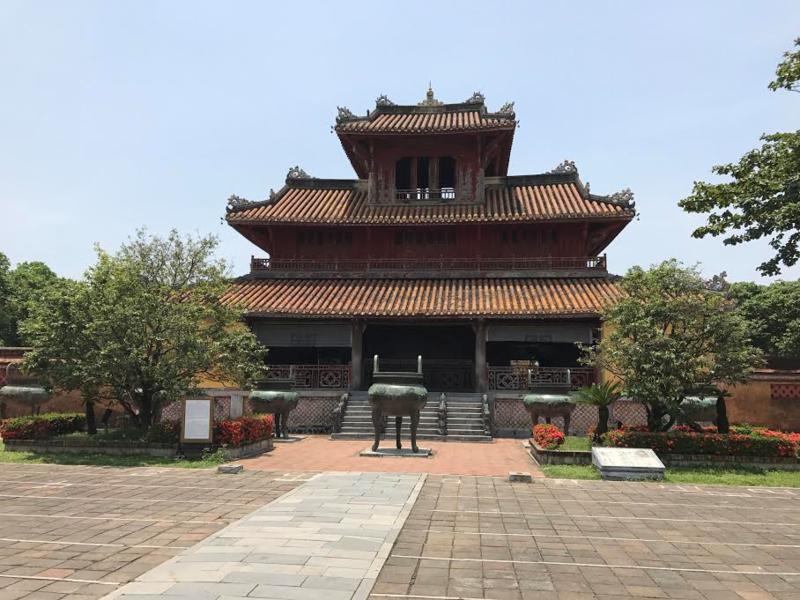 At the risk of sounding like a cliché, the Vietnam May Term was a life-changing experience. The people of America’s former bitter enemy welcomed us with world-class hospitality, but always hovering and extending a long shadow was the living memory of the war. 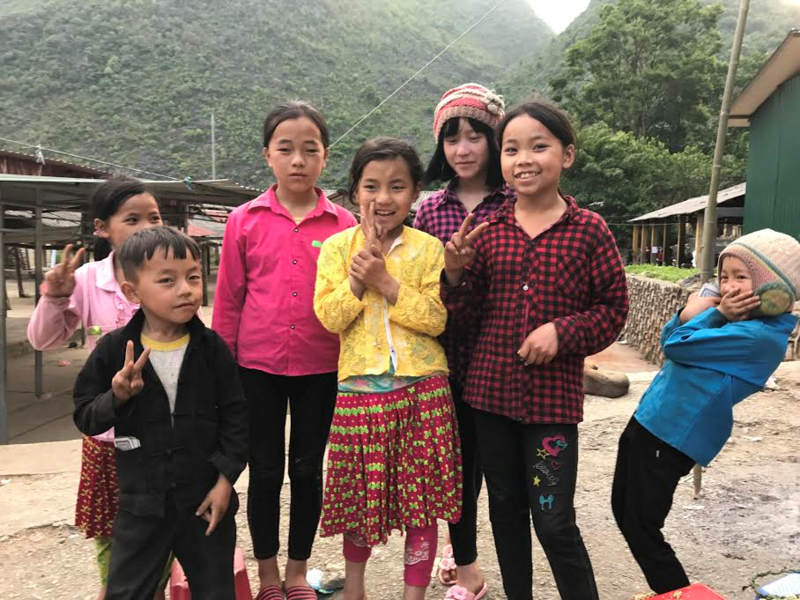 Looking into the faces of Vietnamese Hmong children, one tried to imagine the fear and passion that had cost 58,000 American and countless Vietnamese lives. 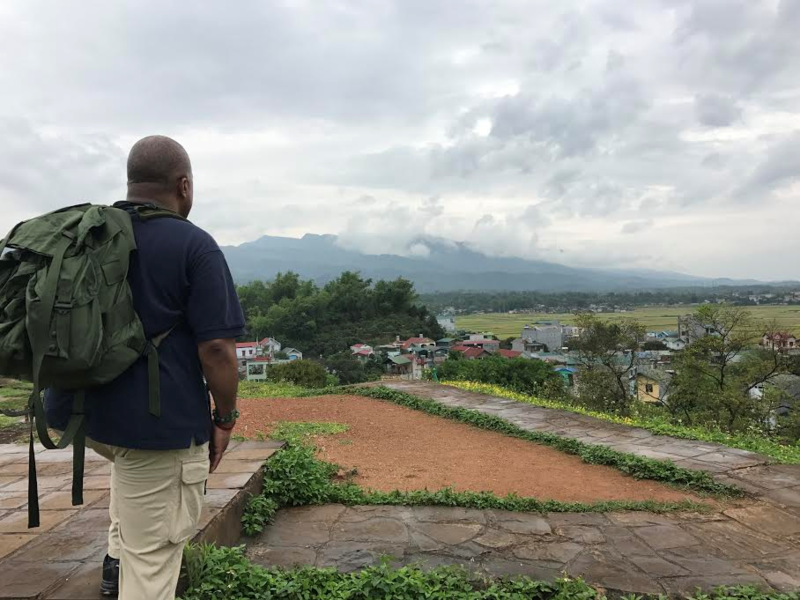 For young American and Vietnamese soldiers, waging war in a land of such breathtaking scenery, and whose people possessed such a rich history, must have heightened the incongruity. 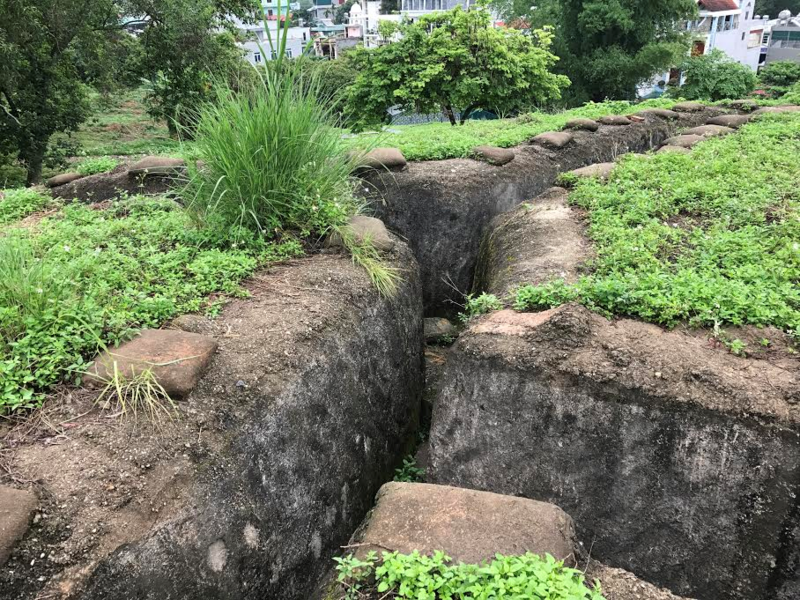 When we traveled to Dien Bien Phu, pieces started falling into place. 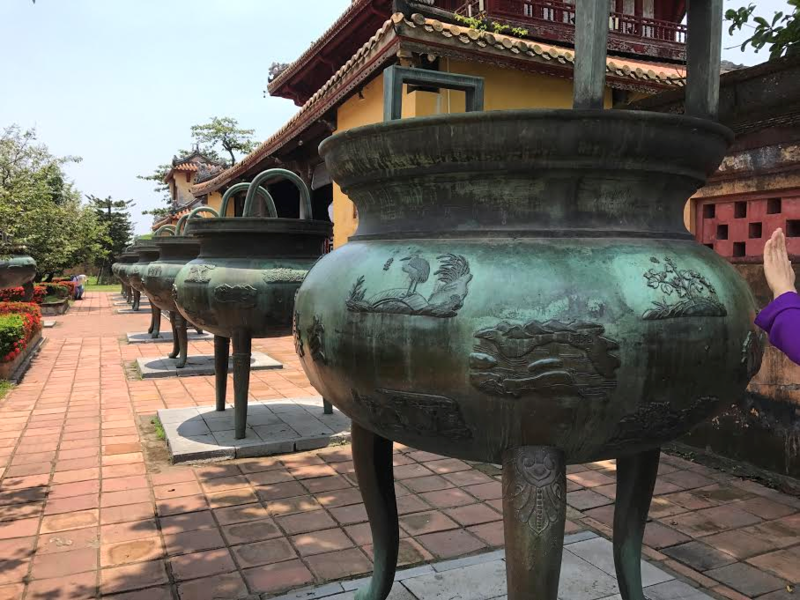 In 1954, French commanders, determined to preserve their nation’s right to dominate as Vietnam’s colonial master, casually ceded the highlands to their opponents. One need not be a military genius to quickly deduce the dangers of surrendering such an advantage. Presumptions of inherent Vietnamese inferiority proved costly. France’s subsequent defeat and withdrawal from Vietnam underscored the extent of French hubris and highlighted the perils of Western racism. France’s defeat, happening so soon after America’s frustrating stalemate against the communists during the Korean War [1950-1953], underscored the urgency to stand firm against global communism’s clear and present danger. With the situation compounded by the reduction of international complexities to simplifications of East vs. West, Communism vs. Capitalism, Good vs. Evil, Us vs. Them, the turmoil in Vietnam became the de facto possession of the United States. Over forty years later, Americans are still wrestling with the “How” and “Why” of the Vietnam War. The most recent large-scale attempt to uncover answers to those questions happened on September 18, 2017, when PBS aired Episode I of The Vietnam War by documentarians Ken Burns and Lynn Novick. Knowing history may not ultimately prevent war, but it can serve as a powerful force of mitigation. Because it’s difficult to play such lethal jokes on the young when they know the backstory, nature, and motivations of the joke-tellers. Knowing history makes it harder for chicken-hawk leaders to bamboozle and bedazzle with their blustery talk. Knowing history makes it harder to send other people’s children to war while the senders obscure that they’ll bear little, or none, of the cost. History shouts cautionary reminders that Vietnam vets were also once young, did their duty, and returned home to a nation determined to forget the war, and them. History challenges contemporary Americans to demand the same dedication and self-sacrifice from its leaders that is expected of the young people who are, have been, and will be sent to war. Many Vietnamese sincerely told me that, while they’ve forgiven those responsible for the deaths of so many of each nation’s best and brightest, they will not forget. They choose to remember their history. They choose to learn. They choose to have a future that honors the sacrifices of the past. During the 2017 May Term they did so by accepting their American visitors as brothers and sisters.